As I have mentioned a couple of times on the blog, I can sometimes be really into fitness (I say sometimes, but I’m partial to an off month!). I have been going to the gym on a regular basis for 2 years, and I am thoroughly aware of healthy diets and foods which spur on the best lifestyles. But there is a difference with being ‘into fitness’ and ‘practicing fitness’. Being into it means I couldn’t encourage it enough – when I’m at the gym, I love it, it’s great to regularly attend the gym or take up fitness tasks at home. A 20 minute jog per day mixed with some 10 minute weight sessions or stomach exercises, or even yoga (this wasn’t isn’t me much!) can make you feel amazing. But by practicing fitness means you make it one of your main goals, amending your daily activities to reflect the best healthy lifestyle by incorporating regular fitness programmes and a constant healthy diet. This is where I slip up. January is always a depressing month, so I chose to skip the gym a little more than I should have done for sofa nights with Dominos pizza and a glass of wine. Or even worse, sitting at my desk at work indulging in a nice fluffy piece of cake. Well, this is where I reign it in! DW Fitness have introduced their 40 Days of Fitness, which runs from Wednesday 18th February, right up until Sunday 5th April. That’s more than 40 days, but Sunday is a rest day. Everyone needs a rest day, right? Collaborating with certified health coach, and founder of Fit Girls Eat Burgers, Courtney Berlin, the programme brings a tightly-packed food and fitness schedule which helps inspire to eat well and move more. So far, it hasn’t just been inspiring me to make the effort to work out everyday, but I have also been changing my diet to feature leafy greens, vegetable juices and superfoods, to promote energy and all the vital vitamins I should be making sure I get. 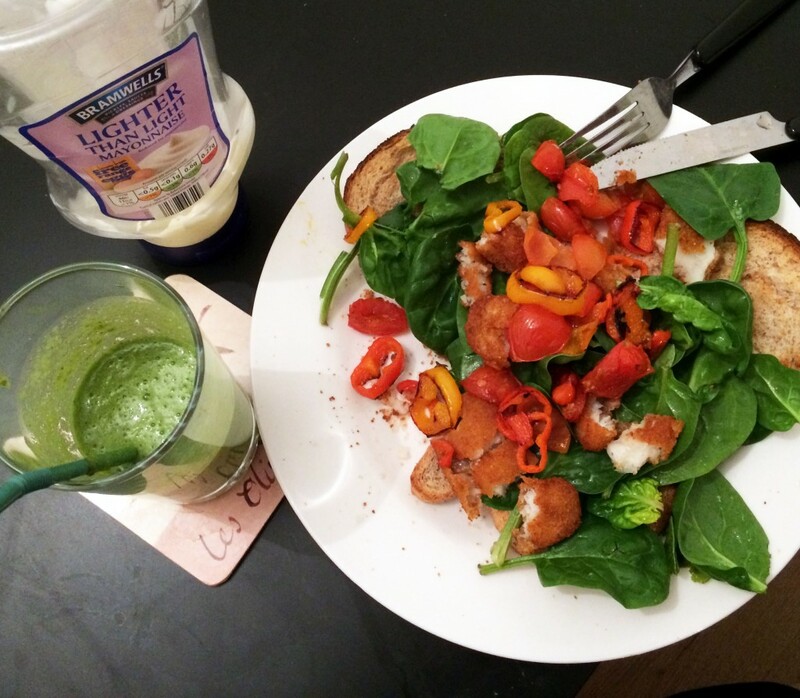 As you can see from my photo’s, my dinners have been getting very colourful! 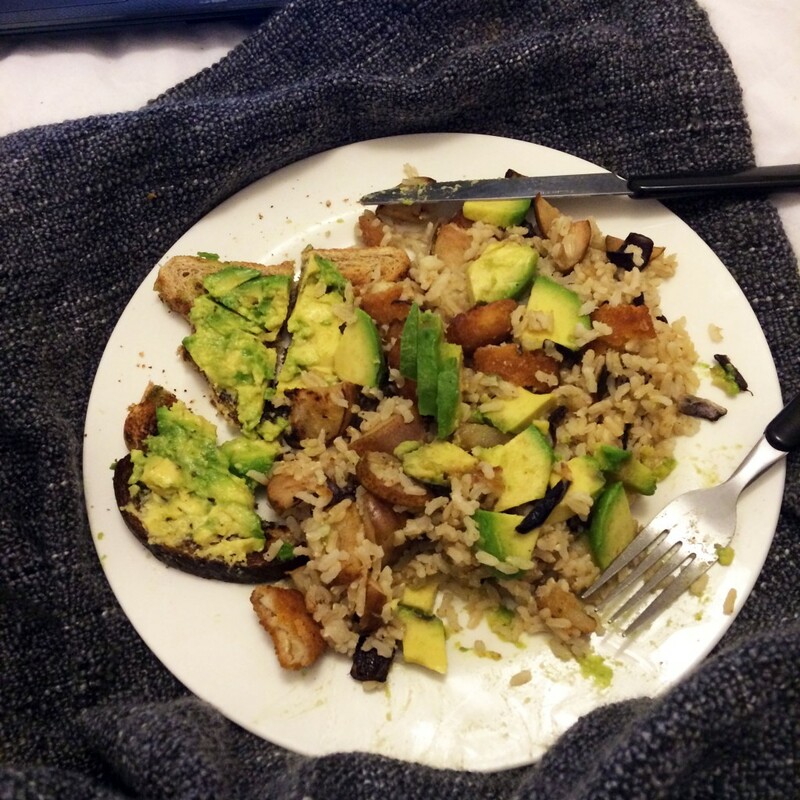 Even though my meals may be looking healthy, they still have carbs in there- a little bit of brown rice, and wholegrain bread toasted. I like to have something quite filling with my main meal, so don’t worry too much about keeping a good solid carbohydrate. It’s a great way to mix up something quite filling with vegetables, avocados, fruits and coconut oil (yes – I have been spreading this on my toast, roasting my vegetables with it, and spooning this into my smoothies!). So what have the work outs involved? So far, we have been undertaking tasks such as #workoutwednesdays (20 minutes of walking/jogging/running), squatting sessions, planking, 3 minute #SaturdayChallenge (3 mins intense training of a certain workout) and various weight exercises. The best thing, is that all of the tasks can be taken place at the gym, or at home. I have a DW Fitness close to me in Oldham, which is a really nice gym that is completely kitted out with everything you would want from a gym, so it’s a really good one to look at if you are considering taking up a fitness regime. Also, a little tip from me too whilst I am at it (oh here we go…) buy yourself some really nice work out gear too which will make getting ready for a work out more enjoyable! I currently wore my new Franklin & Marshall vest top from Fashiola yesterday for my session, it honestly makes all the different if you feel stylish yet comfortable! Courtney: Dairy can be difficult for many people to digest. It can cause gas and bloating, and unless you eliminate it for a significant period of time you won’t know if it is the source of your discomfort. Unsweetened versions of milk alternatives also tend to have less calories, one cup of almond milk has around 30 calories, whilst skimmed milk has 90. Despite the reduction in calories, dairy alternatives often have similar percentages of vitamins and minerals. Courtney suggests using coconut milk instead of eggs to fry up your French toast. You could also try coconut or rice milk in a smoothie, which gives your drink the consistency of a milkshake, helping you to feel fuller for longer. I couldn’t agree more- I quit dairy milk 2 years ago, and although I sometimes have the odd bit in my tea at work if I run out of bringing in my soya or almond supplies, I rarely touch the stuff now. 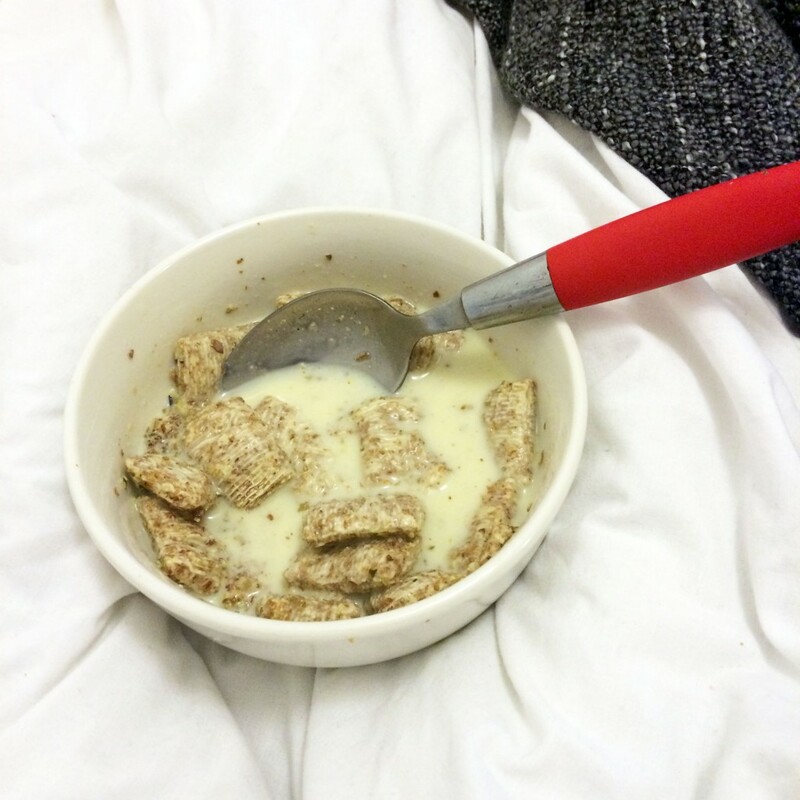 So this one is easy for me, I am already sat here at 6.30 am with my bowl of shredded wheat and almond milk! For tomorrow’s task, we are upping our game to a 25 minute session of walking/running/jogging. That extra 5 minutes will make that slight difference! If you want to see how I get on with my healthy eating and fitness plan for 4o days, keep coming back to check out my #FitnessRevolution with DW Fitness 40 Days of Fitness, and use the hashtag on social channels to see how everyone else is getting on – it’s not just me taking part, there is a whole community of us!